Robby Romero’s teens began a year early on his twelfth birthday here in Taos at the Mabel Dodge Lujan House. Dennis Hopper owned the house at the time and during his long residency there, his Mud Palace was the talk of the town. The stories still circulate all these years later. Like fellow Outlaw Billy The Kid before him, Dennis and his gang, who included young Robby, were the target of many, along with the Law. How Robby came to be celebrating his 12th birthday with Dennis and his entourage,we can’t divulge, that’s for his book down the line. After Hopper’s passing, Robby was hounded by journalists who all wanted to know one thing. Who was sleeping at Mabel’s? Well, he’s still not telling, but he slept there that 12th year night and had and would many times, before and after. That evening at sunset, Robby sat in the rocking chair in the big kitchen, looking out through the windows set into 2 feet thick adobe walls, out onto the Pueblo Land where a huge White Cross still stands. He remembers his mother Rita Rogers and Dennis telling him about the Penitentes and the Morada down the path. He remembers that this birthday was the beginning of yet another musical awakening, Rita had recently turned him onto Neil Young’s After The Gold Rush, Carol King’s Tapestry and Cat Stevens’ Tea For the Tillerman.These were the Holy Trinity of his early teens. The Mud Palace was filled that night with Dennis’ usual collection of interesting and beautiful people. 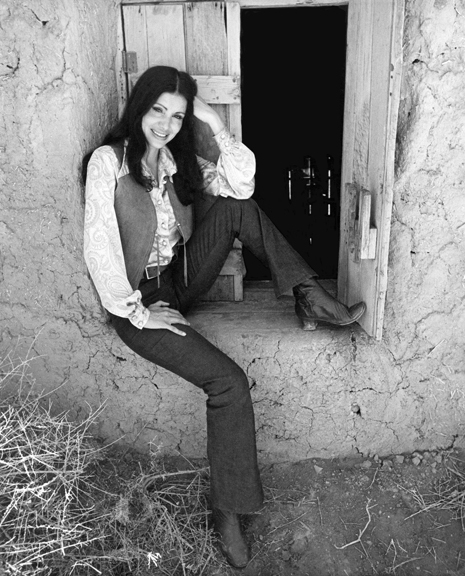 Artsy Beatnik women from New York, Hollywood Celebrities and Starlets, Rock Stars and Artists, Producers and Poets who mingled with locals from Taos’ Tri -Cultural Community. Mabel would have loved it. Could Timothy Leary had given him the frogs? Robby won’t say and he doesn’t remember everything because by the time he unwrapped his presents, he’d eaten some of his birthday cake, taken a couple of hits off the pipe and had more than a few sips of the “mystical” wine. After a delicious meal made from organic food grown in the garden, gathered and prepared by the women staying in the house, he blew out the 12 candles perched on the cake. “I was presented with a magical cake filled with all the wonder people read about in Carlos Castaneda books,” he says. As we sit and talk in Dennis’ El Cortez Theatre, Robby recalls not long after that auspicious night, sitting in the courtyard surrounded by dove cotes, a full moon lighting the Sacred Mountain. He was with his mother,Dennis and a few close family members and friends. He’d taken far too much L.S.D. and had a sense of the altered realities he would befriend and come to a deeper understanding of later, when his life took a different path. He thought an evening had gone by, when in fact days had passed. That experience of time out of time remains. Late that night he was taken upstairs to his bed in the Tony Lujan Room where he slept, by candlelight. 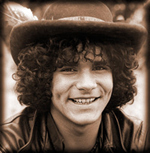 As Robby traveled back and forth from Taos to Hollywood throughout his teens, the Mud Palace would always be home. His first gigs were at Woody’s and the Airport Bar on Taos Plaza, where Dennis would have to accompany him as his Custodial Guardian since he was underage. Legendary Taos El Platero, Pepe Rochon was his unlikely Manager. Next weekend we’ll time travel back to Robert Mirabal’s teens at Taos Pueblo, so please stay with us! 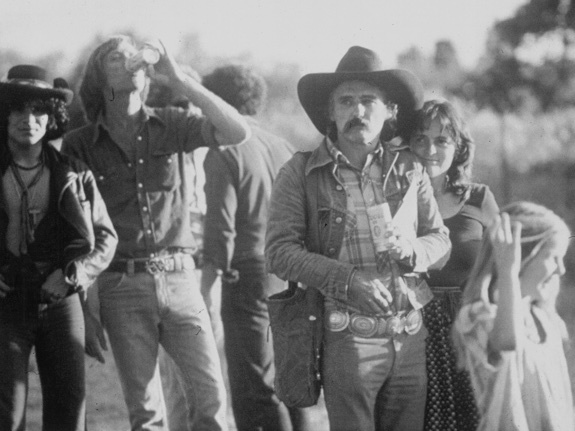 Photograph of teenage Robby (left) with Dennis Hopper at Lama, young Robby and photograph of Rita Rogers at The Mud Palace, from the family archives.